Hey Guys! Today I will be doing a review on the renown online program called Empower Network. I am going to discuss what EN is, and help you decide whether or not it is something you should invest in to find success online. Empower Network (EN) has been confused as being a REAL opportunity because of the amount of marketing by the people pushing the product. There are many people with real Empower Network experience that are not happy. If you are reading this, chances are you have been subject to someone promoting EN to you. All they do is promote terrible promotions, and if you become a member you will be required to do the same thing. There is no real product in this program, YOU are the product. The goal is to get you to promote the very same scheme to other people, and build a downline below you. Unlike other MLM (Multi-Level Marketing) businesses where there is actually a product you are selling, Empower Networkhas no product! They recently came out with another blogging system called the Kalatu Blogging System, which is just another way they found to promote it because everyone knows what EN is now. Want A Better System That Works? There is no clear description of what the business is about, what you will be doing, or what kind of interests you need for success. They claim everyone is going to earn money, with little money paid, little work, and on autopilot! Sounds like the DREAM we have all envisioned. However, that is NOT the reality of this program. Anyone can join, but it is intended for people that are willing to work very hard to build a downline. In many cases people do this in an unethical way. You are not actually selling anything to people, you are selling the fact that they will be able to sell what you are selling (which is nothing). Confusing huh? Well, that’s because the more you dig into this program, the more confusing it becomes. It’s like “pen mail” where you send 6 people, they send another 6 people, and so on. The person at the top of the pyramid (or triangle) gets paid the most, and just like any other pyramid scheme Empower Network has unlimited levels, and payouts are always going to be given to the people at the top. Guess who is not at the top. YOU. Guess who is at the top? The owners, and the first few people that joined at the starting point. If you are not good at aggressive recruitment and hard selling people a scheme, Empower Network is not going to be for you. Tired of Scams Like Empower? Get REAL Help! There is also A LOT of emphasis on upgrading once you get into the system. They call it going “All In,” and your sponsors will likely encourage you to go all in by calling you names or other derogatory terms. Why? Because if you don’t buy all the training modules within Empower, then you are not going to be making them money. That is what it’s all about. You buy all the stuff (over $5,000) and the money goes directly to your uplines and their uplines. If you don’t buy then nobody is going to make money off of you, and you will be shunned by those “above” you. If you are looking to earn money online in an ethical way that can be applied to any niche, Empower Network will not be the place for you. Their primary focus is training you on how to promote EN to others. Does Empower Network Offer ANY Support? Empower Network does not have a personal support system. There is no training or support offered without an extra cost, and even then it is not personal training. It a series of audios and videos. I never recommend any program that does not offer personal support, and where you do not have direct access to the owners. You will never have contact with the owners directly. The owners are active in the promotion of their product and motivating everyone to promote EN, but you will not see them helping people out. Also, many people complained that they were belittled by their “team leaders” because they didn’t go all in. Going all in means that you buy all of their low grade products (which make your team leaders money), and if you don’t do it over the course of a year you will be called some really vulgar names. My #1 recommended product provides FULL 1-on-1 mentoring and support, and the owners are actively involved. Also, no one will ever treat you poorly. 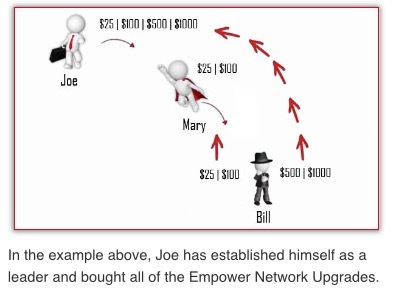 The pricing of Empower Network is complex and much more than it initially appears. Blog Beast – Blogging System ($25 per month) / ENV2 – This fee is just to participate in EN, and to get your own blog (that every other member gets). There is nothing unique about this blog and you have to use the EmpowerNetwork.com domain, which is starting to get labeled as SPAM by many search engines. NOT GOOD! You can get much better FREE WordPress blogs where you are not forced to promote EN. You can promote your own niche. You also do not own the content you create on your blog. You basically get nothing for this $25 per month fee, other than the fact that you are creating content for someone else on a blog that looks the same as everyone else’s. Important Update: These paid blogs have lost a lot of their “mojo” within the search engines. EN no longer holds the #1 rank under their own keywords. This is because Google has labeled a good portion of the website as SPAM. You can get much more superior blogs for free elsewhere. So if you are buying into this program just for the blog, then I would suggest you save your money. E-wallet ($19.99 per month) – In order to get paid, you have to pay for their payment processor. This is ridiculous, and Empower Network has to do this because they are riding the fence as to what is legal. There is NO WAY a company like this would ever get approved by a reputable credit card processing company. Paypal, Mastercard, Visa, Amex, etc. would never allow payments to a company like EN because they consider it ILLEGAL or high risk! Inner Circle ($100 per month ) – This is hardly an inner circle. Other than giving you access to some inner circle audios, becoming part of this program allows you to get paid even higher commissions ($100 residuals). Again, you are not paying for an actual product, you are paying to further promote the product that doesn’t really exist. It’s like having a bag of air that you are selling for $25, and then paying $100 more to be able to sell the bag of air. Costa Rica Intensive ($500 one time payment) – This is a video sequence that focuses on building a business for the longer term. A business that revolves around promoting Empower Network to others. I hope you are getting the idea by now that the EN product is promoting the same product to others. The $15K Formula ($1,000 one time payment) – This is another video series that includes 9 videos, and each video is a couple hours log. This covers a variety of topics on how to promote Empower Network online. An example of this is using Youtube or Facebook. HOWEVER, Empower Network can no longer be promoted through these channels. The fact that EN has been completely banned from Facebook and Youtube is a huge red flag!! This is the first product or service I have ever heard of that has been banned. The Masters Retreat ($3,500 one time payment) – This is a series of 41 videos (mostly motivation) that were recorded at the Empower Network Masters Retreat. To me, spending $3,500 on motivational videos seems absolutely outrageous, considering that most of this information has little to do with creating your own business and more to do with motivation (plus you could get a 10 YEAR membership at the top online business platform for the same price!). This is a high ticket product, and the only reason you will see others attempting to get you to buy it is because they earn commissions off of you when they do. So, you are looking at $5,000+ $140 per month if you want all of products offered within Empower Network. That is WAY more than the $25 price point that everyone seems to be promoting out there. Be forewarned, Empower Network is expensive, overpriced, and you are looking at $1,000’s if you want all of their included training (going all in). This program is a complete SCAM! There is NO product! There are different things you can purchase after you first join, but that’s there to drive the compensation model (make others money). You are shamed into buying it because your “sponsors” will not give you any additional help if you are not active within Empower Network. If you ever say anything negative about this network you will be jumped on. The product is based around YOU promoting the Empower Network system to other people (pyramid scheme!). Need I say more? There are VERY few people that are part of this program that have their own website, understand the proper way to create an online business, or that are promoting different products other than EN. You will see a lot of people “excitedly” promoting Empower Network to you, and that is ONLY because they are going to earn money if you sign-up through them, not because they believe in the product itself. I would stay as far as you can from Empower Network and not look back. It may be convincing and people may be begging you to join underneath them, but it’s not a real opportunity and there is no REAL product that you are getting or selling. The system is centered around you selling the idea to others and you are forcefully being pushed to go”all in,” which means spending well over $5,000 and going into debt in many cases. STAY AWAY FROM THIS PROGRAM! Get the TRUTH About Building a Business Online! 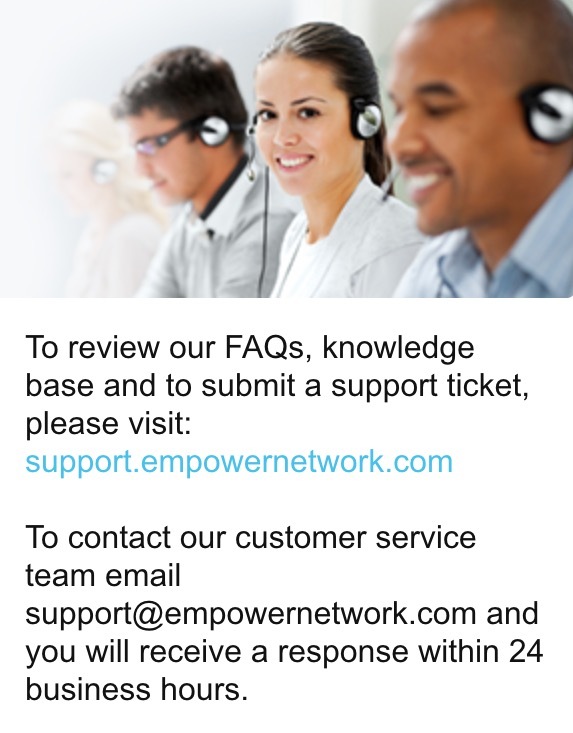 If you have any questions or have had experience with Empower Network, Please leave a comment below! That’s a very thorough review on Empower Network and you have really covered all bases. I strongly believe your article will help people in their decision making. Thanks for the useful information I will come back to your website to learn more information. Keep up the great work. Wishing you great success!